Lionel Messi became the Champions League’s all-time top scorer with a hat-trick in Barcelona against Apoel Nicosia match. Lionel Messi, 27, went into the Group F game in Cyprus level on 71 goals with former Real Madrid forward Raul. Luis Suarez had already opened the scoring with his first goal for the club when Lionel Messi diverted Rafinha’s 38th-minute shot past the keeper. 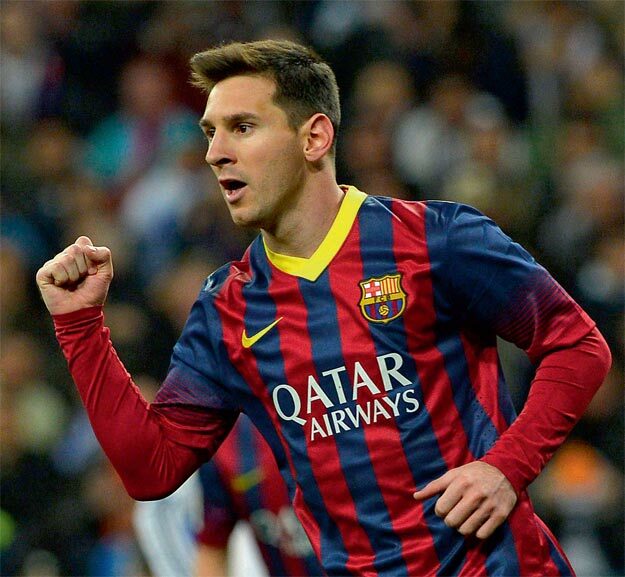 Lionel Messi netted his second in the 58th-minute with a low right-foot finish before tapping home from close range. “I am happy for having achieved such a nice record in a competition of this importance,” he said. “But the really relevant thing is that we took the three points. It is Lionel Messi’s second major record in four days, having scored a landmark 253rd Spanish top-flight goal with a hat-trick against Sevilla on November 23. Lionel Messi’s latest achievement earned him glowing praise from his manager Luis Enrique. “I’ll say it again, he’s the best ever in this game,” said the former Spain midfielder. Both teams finished with 10 men on November 25, Rafinha sent off for two bookable offences 20 minutes from time before Apoel Nicosia’s Joao Guilherme followed him 14 minutes later, also for a second booking. It was Lionel Messi’s 28th Barcelona hat-trick, and his fifth in the Champions League. The Argentina international now has 74 Champions League goals in 91 appearances in the competition. Raul’s 71 goals came in 142 games. Real Madrid’s Cristiano Ronaldo, who is expected to line up at Basel on November 26 in the competition, has 70 goals. Barcelona had already qualified for the knockout stages before their visit to Cyprus.